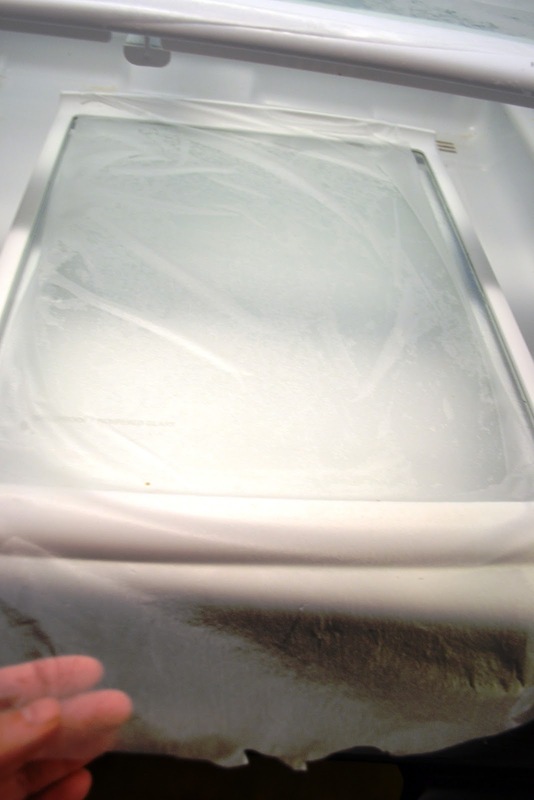 If your household is anything like mine, all too often your refrigerator needs cleaning (I mean DEEP cleaning) long before you actually do it. If your household is anything like mine, little (or not so little) hands spill syrup or jam inside the fridge and don't clean it up, leaving you to discover dried sticky goo, that will require scraping and scrubbing to remove. I discovered this easy tip from www.apartmenttherapy.com. and I've decided to give it a try. 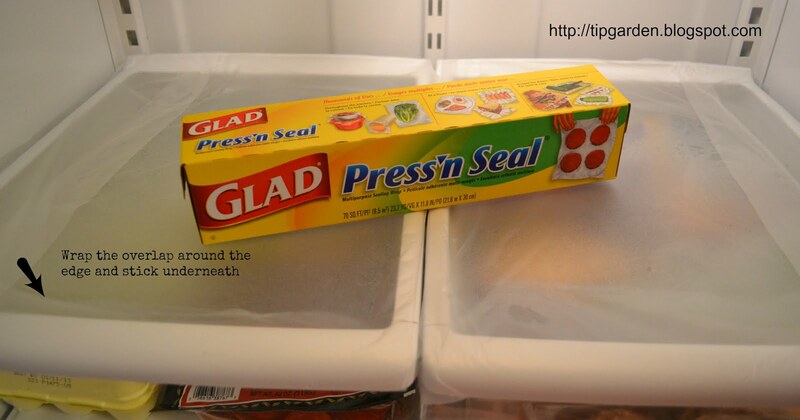 After cleaning your refrigerator wrap the glass shelves in Press-n-Seal plastic wrap, then when you are ready to clean your fridge again, just remove the Press-n-Seal wrap, toss it, do a quick wipe of your fridge and apply fresh sheets of Press-n-Seal to the shelves. If you are not familiar with this special wrap, it has a slightly sticky side and is thicker than regular plastic wrap. I did find that it helps to make the Press-n-Seal wrap longer than the shelf and wrap it around and press the remaining overlap to the glass shelf from underneath. I took a minute or two to smooth it out. It does sticky pretty well, but not perfectly. I did find that if I lightly misted the glass shelf with water before applying the plastic it seemed to help it stick better. We'll see how it works out, but so far so good. If you've tried it what did you think of it?